Tucked away in the northern corner of Massachusetts, Tourists is a haven for all. This is where you go to feed your soul—your creative soul, your adventurous soul, your peace-seeking soul. Check in at the lodge at Tourists—the brand-new hotel in North Adams, Massachusetts, a now not-so-sleepy sliver of the Berkshires—and you immediately understand it. A fireplace greets you (as does a friendly staff member behind the bar), and every well-designed, cozy corner beckons you to crack open a book or swap stories with strangers. Tourists might best be described as a passion project, conceived by a team of creative dreamers with impressive backgrounds in art, design, music and food whose vision is evident in the thoughtful details that make this place so special. 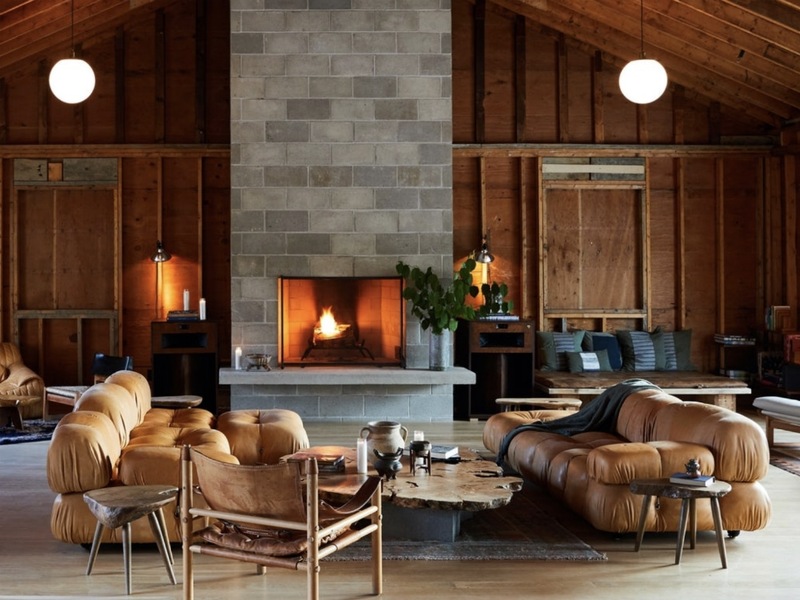 The rooms master the art of upscale minimalism: High vaulted ceilings create an airy atmosphere, as do the clean plywood fixtures, which evoke iconic pieces from designers like Alvar Aalto, Eero Saarinen and Arne Jacobsen, who were once featured in an exhibit dedicated to plywood at the MoMA. A large picture window with a built-in lounge lets you unplug, unwind and bask in the light it lets in. Be sure to book a room with a private deck (from $199)—the best place to sip your morning coffee, which is delivered to your door in a camping tote and thermos that’s fitting for the forest views. James Beard Award-winning chef Cortney Burns of San Francisco’s Bar Tartine heads the culinary programming, and will helm the kitchen at the sure-to-be show-stopping on-site restaurant, Loom, opening in early 2019. For now, breakfast and snacks are available, made with the best ingredients from local artisans and served in wooden boxes and carefully filled jars.